Can We Travel Through Time? 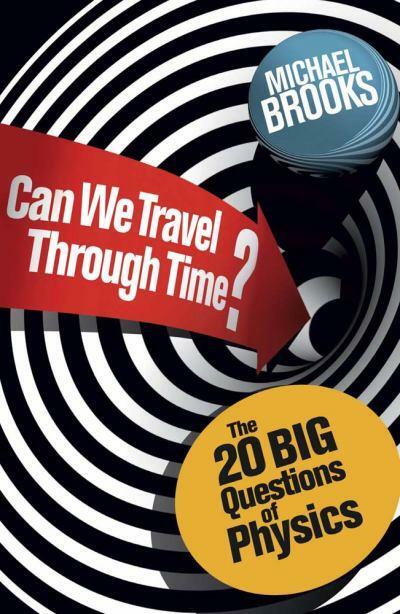 addresses 20 of the most fundamental and frequently asked questions in physics. What is the God particle? Does chaos theory spell disaster? Am I unique in the universe? What is light? Each 3,000 word essay examines these eternally perplexing questions in a way that is comprehensible to everyone, providing the ultimate guide to understanding the very nature of the world we live in. Find the book at Quercus and on Goodreads! It's not always easy to bridge the gap between being fascinated by a topic and actually understanding the matter. With Can We Travel Through Time? 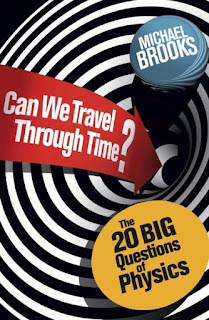 Michael Brooks does not only tackle some of physics biggest questions, he also manages to present the interested reader with explanations and answers in a succinct, fun and very accessible way. Addressing various topics - from Schrödinger's cat to string theory, from gravity to the nature of reality - in essays which all get to the main point without ever being long-winded, this book is both conversationally written and educational too. Upon getting started on the book, and admittedly I am one of those who are unduly fascinated by physics despite the inability to grasp most of the details and technicalities associated with it, I was wondering whether the author would be able to convey the essentials without simplifying, but still in a way which makes the questions posed easy to understand to the average person. Brooks did so with flying colors. What I particularly liked about the questions raised is how they also dip into topics such as time travel and parallel worlds. So if you like science fiction as much as I do, yet have not yet had the desire to read about the physics behind ideas fiction authors conceive, I promise this book will not disappoint even diehard non fiction opponents. Slowly easing into physics? This is the way to go. In short: A wonderfully comprehensible lesson in physics! Disclosure of Material Connection: I received this book free from Quercus. I was not required to write a positive review. The opinions I have expressed are my own. Ohhh I love Michio Kaku's books! Last year I read and reviewed "Physics of the Future" and, needless to say, it got a well deserved five stars from me!